From the Take Heart Trunk Show: Designed by Fiona Alice, this hat and mitt set is quite the pairing! 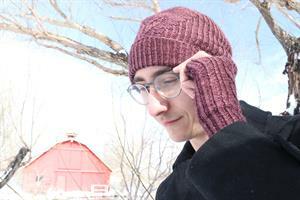 Featuring repeated, raised geometric shapes and twisted ribbing, the textures of both the mitts and hat really shine through the stitches. The pictured sample uses a merino/silk blend, and the pattern is named after Caswell Bay in Wales. Simply stunning! 1 skein for the Fingerless Mitts and 1 skein for the Hat. The samples use Handmaiden Lady Godiva in Plum, which we not carry. 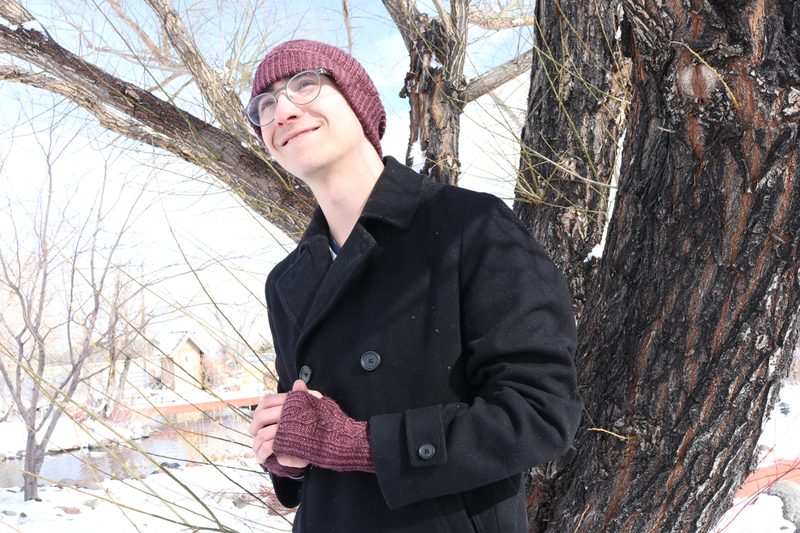 We recommend using Madelinetosh Pashmina as a substitute. 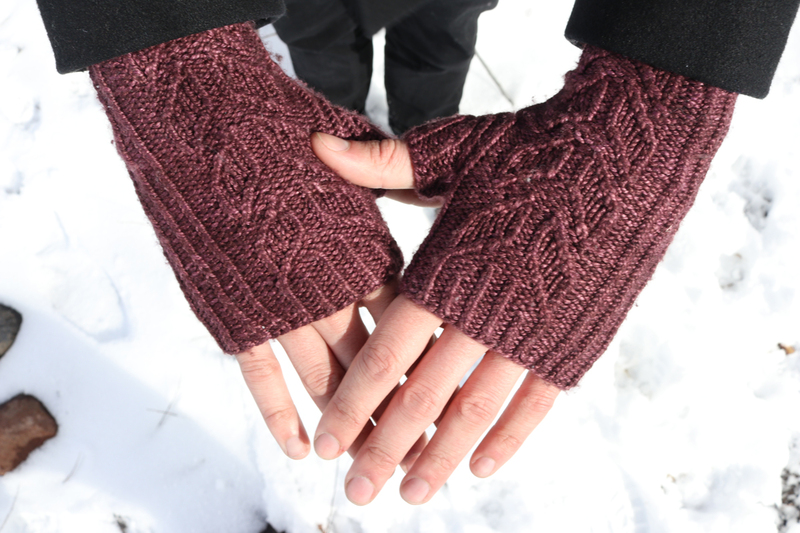 Fingerless Mitts, using Magic Loop.